Uber Technologies will reverse its controversial decision to track the location of its users following the end of their trip. The change of strategy related to privacy will come first to its iPhone app, which is expected to be updated during the current week, and later to its Android app. This news was released by Joe Sullivan the CSO at Uber who said the company would restore the users’ ability to share its locations data only at the time of using its app. The controversial tracking feature following a trip with Uber was enabled last November, after an update to the app asked users to choose being tracked always or not at all, rather than the ability prior to the update to share location data only when the app was being used. Users that select never would then need to manually enter their entire pick up as well as drop off locations, which means opting out of that feature resulted in a far less positive user experience. For those that felt they were forced to agree to always having their locations tracked. Uber insisted that it would track users only for a period of five minutes following the end of their trip, and said that it wanted that for safety reasons that in the end would improve the pick up and drop off for riders. However, this move created huge controversy and further increased the poor reputation of the company for user privacy protection to name only two. In 2012, Uber also publicly and proudly quantified users’ data for one-night stand, which tells you all you need to know related to the formative attitudes of Uber related to user privacy under Travis Kalanick the founder and former CEO. Uber has said it never began its post-trip tracking for users of iPhones, and that it suspended the same feature for users of Android. If Uber decides value exists in tracking the location of a rider for a period of five minutes following their drop off, it says it would seek a way to explain what that value is and give its customers the ability to opt in to have that setting rather than making it a de facto default. 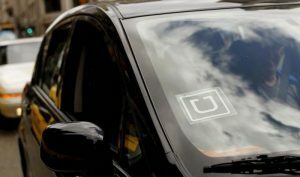 Earlier in August, Uber entered into an agreement with the FTC related to an investigation of privacy and security, but implementing a comprehensive program for privacy, including an agreement to have external audits for 20 years.